What do you get when you mix communications, human resources and management with vision, values, workplace processes and, most importantly, people? This, friends, is what some might call a crock pot of culture. Eye rolls and smirks aside, the kind of culture your organization is cooking up matters. Just as you would use the correct ingredients in your award-winning pot of chili, organizations most also ensure that they have the right mix of people, processes and products to support a blue-ribbon brand. And it all starts with having a strong brand advocacy program. As we pointed out in a recent post, the connection between the employee experience and the customer experience is real. The cofounder of Costco, James Sinegal, said it best. “When employees are happy, they are your very best ambassadors.” Your very best ambassadors. 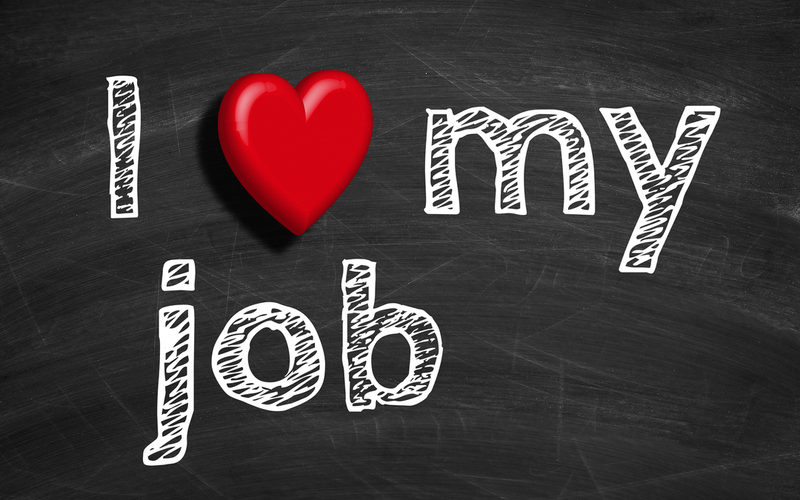 Imagine then what can happen when employees go beyond just being happy and become engaged. Brand advocacy and internal communications are not mutually exclusive. In fact, they’re inextricably linked. Unfortunately, many companies are so focused on their customers that they completely overlook an equally important stakeholder group: their employees. When this occurs, things can go south quick. It can lead to a breakdown in trust, miscommunication and even a complete disconnect with the organization’s mission and purpose. Worse, it can result in negative sentiment internally. And you can bet this will most certainly rear its ugly head in customer interactions. One of the keys to building brand advocacy is information-sharing. Employees can’t engage if they feel left in the dark. Research from Dynamic Signal supports this, finding that nearly three in four employees feel they’re missing out on company information. What’s worse, a Weber Shandwick survey shows that only 40 percent of employees can confidently describe to others what their employer does. Anyone else as surprised as us at these findings? This means six of every 10 employees are unable to serve as brand ambassadors. If your own employees can’t fulfill this role, then who can? The situation is further complicated by what can seem like endless changes that many employees face within organizations today. To keep pace in an evolving landscape, many organizations are becoming more agile—adjusting to varying marketplace dynamics at exactly the right time. This disruption can lead to even bigger communication challenges, particularly when it results in leadership changes, cutbacks or layoffs, a merger or acquisition, or even a downturn in growth or revenue. For these reasons, we encourage clients to develop a solid internal communications strategy that includes a plan for how they’ll go about having consistent, frequent and transparent interactions with employees. Especially during the toughest of times. Any good brand advocacy program should contain detailed stakeholder mapping. Not just for your external constituents, but also your internal staff. On the internal side, it’s not enough to send out a single communication via email and expect the message to hit the mark. This is particularly true for organizations with a mobile workforce, a high number of part-time employees or disparate workgroups. Take for example, manufacturing. Those in management are likely to see emails in real-time, or at least on the same day they’re sent. However, those on the shop floor may see the same emails days after the fact, if at all. This is often a byproduct of expectations. Many people who work on a manufacturing floor don’t have easy email access. Due to safety concerns, many of these employees don’t use smartphones except during breaks, or they must visit a kiosk to check their emails. And many manufacturing line workers don’t even have email. The same is true for those who work in healthcare. Can we expect doctors and nurses to deliver excellent patient care while also being expected to stop to read a dozen or more emails in the middle of their shift? The obvious answer to the above question is “no.” So, what then can organizations do to better connect with all employees? Start by facilitating internal conversations that encourage two-way dialogue. And host them in forums such as daily or weekly huddles, town hall meetings, or lunch and learn sessions. Keep in mind, too, that those attending the forums should feel as if they’re being given adequate time to learn and ask questions about what’s going on internally. This can be particularly challenging in organizations that operate 24/7 or have large populations of employees who have to be “on” at all times, like in a hospital setting. In our experience, organizations like this need to be vigilant in their efforts to offer learning opportunities on all shifts and give employees the break they need to adequately stay informed. We also highly encourage the use of feedback loops to ensure that people can hear and respond to company information. It’s also a great way for employees to ask questions in a non-threatening and proactive manner. These feedback loops are best used in tandem with training that’s updated as needed to adjust to changing workplace dynamics. They can also help identify challenge areas that you can address in new employee training to facilitate a better understanding right out of the gate. After all, it’s easier to build brand champions from the beginning than it is to change their behaviors after days, weeks, months or even years of counterproductive habits. Other mechanisms such as social media, internal communications platforms like Yammer, and personalized content like the kind offered by companies such as Cerkl can also go a long way in helping connect employees not just to the organization, but also to each other. The intent of these is to meet people where they are and make them feel part of a larger purpose. The camaraderie and brand love that can result from this can be a big brand boost! At the end of day, you want them to make a personal connection to your brand. That way they’ll be a fierce advocate in support of it. We all know that social media is quickly becoming a litmus test of sorts for a brand’s reputation. And it’s not just a forum for customers’ praise or complaints. In fact, the report mentioned above found that 50 percent of employees post messages, pictures or videos on social media about their employer. Almost 40 percent of employees have shared positive comments online about their organization, while 16 percent have shared negative comments. Given these numbers, odds are that many of your employees are already saying something about your brand on their social channels. So, what kind of message do you think they’re sending? If it’s negative, what can you do to turn the tide? And what kind of example are you and your leadership setting? Like many of our colleagues, we encourage clients to socialize their brands and empower their employees to share content about their organization online. The conversation won’t always be rosy. But the more you encourage staff to live, breathe and connect personally to your brand, the more likely they are to be engaged and hopefully share more positives than negatives! Another area in which we frequently counsel clients is content development. Many times, leaders know what they need to say, but they’re not certain how to say it or when. We work with leaders to develop communications plans that not only outline the messages, but also the message cadence. As part of these plans, we also help our clients determine who the messages should come from and whether they need to be nuanced differently for different audiences. Often, we find that senior leaders work with their HR or Communications functions to draft email messages. For more than two decades, email has been the default—and, for the most part, accepted—way to send communications to large groups of people. However, times are changing. Today, fewer employees are willing to sit back and simply be passive recipients of information. This is due, in part, to the digital transformation that we’re all experiencing. Younger generations—commonly referred to as digital natives—are accustomed to seeking out information in different ways than Baby Boomers and GenXers. For this reason, we encourage our clients to consider ways to customize messages and find platforms that enable them to cast a wide net in terms of how information is shared. We also urge organizations looking to boost their brand advocacy to engage their managers in sharing information with their teams. We’ve stated before that employees are more likely to turn to their direct supervisors when they need clarification on something. So, it’s in your best interest to bring these managers into the mix early and arm them with as much information as possible. In doing so, you’ll eliminate confusion and other headaches—saving everyone time and productivity in the long run. In writing this blogpost, we came across an infographic that details the Workforce Activism Spectrum. Here’s a look at the highlights. As you review the categories, we encourage you to first consider where you are on the scale. And then consider where you think your employees fall on the spectrum. ProActivists – Employees who exhibit the most positive actions, with virtually no negative actions. Highest level of engagement. PreActivists – Employees who take a lot of positive actions, but also engage in a few negative actions. Average level of engagement. HyperActivists – Employees who have the potential to both help and hinder an organization’s reputation. Average level of engagement. ReActivists – Employees who mostly take positive actions but can also be detractors. Average level of engagement. Detractors – Employees who take negative actions. Low level of engagement. InActives – Employees who are apathetic. Low level of engagement. We’re curious to know whether it surprises you that nearly 50 percent of those surveyed were ProActivists or PreActivists. Yet, another 35 percent were at the opposite end as either Detractors or Inactives. While these numbers certainly paint a favorable picture, they also underscore the need for organizations to keep their foot on the pedal when it comes to building a strong brand advocacy program. And while we argue that internal communications is the cornerstone of any brand advocacy program, employee activism doesn’t end there. Other important drivers of employee activism include strong leadership and HR practices. Together, these and other elements can help light a fire under employees who just need a little nudge in the right direction. We’ve all heard the phrase, “Too many cooks spoil the soup.” In business, not having a real recipe for success can lead to a spoiled experience for employees. Having a comprehensive internal communications plan in place is the first step in ensuring strong brand advocacy—and can benefit your organization and your customers for years to come. Ready to get started on an internal comms plan? Contact us today.